PLUS an array of standard features such as USB integration for all of your media,Tilt Telescopic Steering Wheel with Multi-Function Control and LCD display as well as Paddle Shifters for precise control,Automatic Headlamp Activation,Power Heated Memory Seats with Power Lumbar Support,convenient Keyless Start,Heated Washer Fluid and Rain Sensing Wipersand much more! 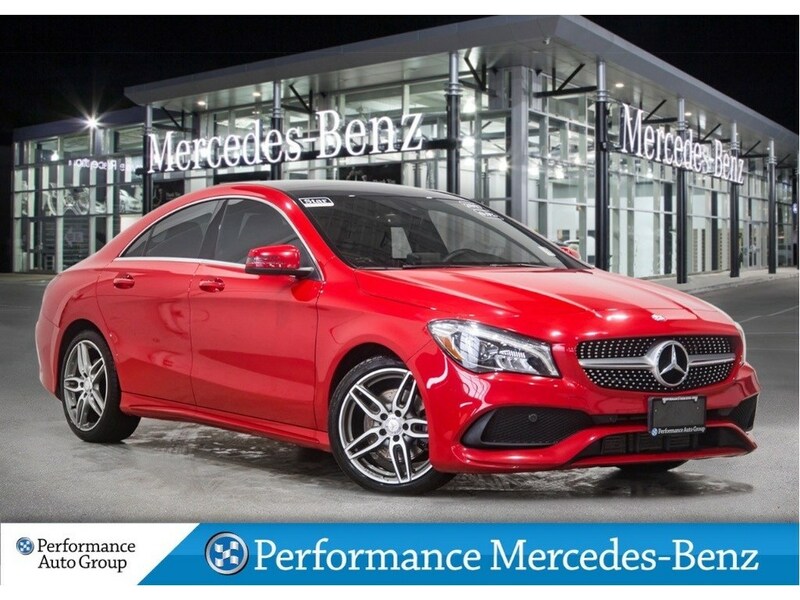 The Mercedes-Benz 4Matic CLA is an uncompromising four-door coupe with stunning beauty,innovative brains and an all-new turbocharged engine which promises to elevate pulses at jaw-dropping value. 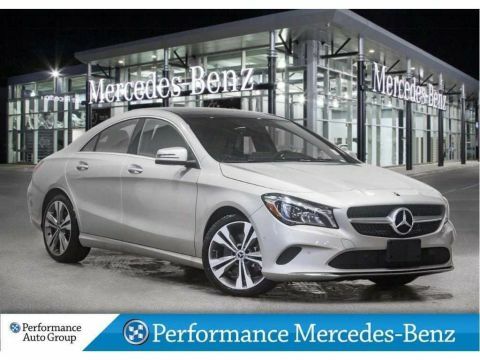 Equipped with a turbocharged inline-4 engine,the CLA250 produces 208 horsepower and 258 lb-ft of torque,which when paired with the advanced dual-clutch 7-speed automatic transmission,this vehicle really does have a phenomenal driving feel while still maintaining the practicality to be driven and enjoyed every day! Today,safety is at top of mind for most new buyers and the CLA doesn't disappoint with 9 standard airbags,Active Brake Assist (warns of impending collisions),Attention Assist (warns you if you are getting tired),Adaptive Brake with Hill Start Assist,Predictive Brake Priming (which allows brakes to be applied when the vehicle senses poor road conditions) and Auto Brake Drying. All of these features make the CLA one of the safest vehicles on the market today. We do Market Value Pricing which is achieved through proven systems which poll thousands of pre-owned websites every hour to ensure that all our guests receive the BEST VALUE via real-time Market Value Pricing on every pre-owned vehicle we sell. We don't artificially inflate our prices in the hopes of winning a negotiating contest with our customers,we're here to help you make an informed decision on the vehicle that represents the best value in the market. 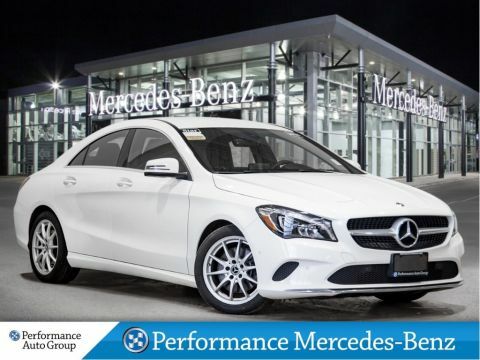 Drive with confidence knowing that the Performance Auto Group has the most rigorous inspection and reconditioning process,handled by our team of factory-trained Mercedes-Benz technicians. 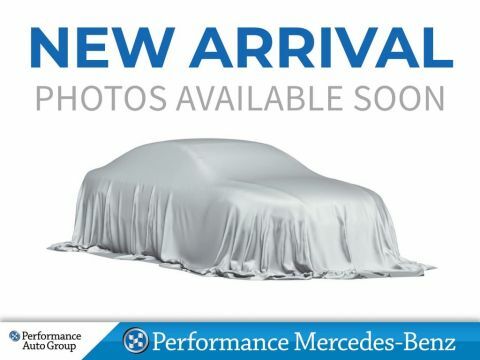 For a complimentary Market Value Pricing analysis on any of our pre-owned vehicles,please contact Performance Mercedes-Benz to experience the difference with the assistance of a Sales Professional at a time and place that is most convenient for you - yes,we can come to you. We look forward to hearing from you.